Nothing makes us more excited than reviewing an online slot with an original theme. It is like unwrapping a Christmas gift. 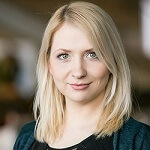 When the original slot in question comes from a talented developer like Yggdrasil, we are even more excited. Gem Rocks is the new release from the developer which not only has an original theme, but it incorporates that theme excellently into the slot’s special features. Taking place against a gem encrusted mountain side, you just match different coloured stones on a massive 6×4 grid. In between you will see the giant Gem Rocks stone monster appear to add features to the reels. On the left hand side you will see a special meter which gets filled whenever you land winning combinations consecutively. To make wagering more manageable on such a big reel set, Yggdrasil have thrown out the payline system and instead uses betways, allowing players to register wins from adjacent or stacked matched symbols. This gives players 4096 different ways to register a winning combination with the only limitation being that matches are read from left to right. 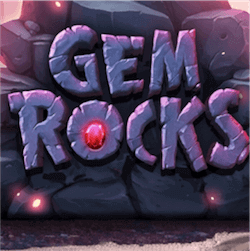 With an intriguing theme and a set of bonus features designed to work in tandem, Gem Rocks is an excellent slot for players looking for something a bit different. If there are any complaints it would be that the reel symbols could have been more varied in their design and it would have been nice to see even more of the Gem Rocks monster on the reels. What would a rock based slot game be without some reference to an avalanche? Yggdrasil has turned a feature used in many other slots into a themed feature. Whenever a winning combination is formed, you will see the matched gems explode and disappear from the rock face reels. The gems above them will come crashing down, filling the empty space that’s been left. You can potentially form a new betway combination now. If you do, you will see the meter on the left of the reels start filling up. This is the main bonus game in Gem Rocks. The Gem Rock monster will start appearing on the reels as a special giant symbol, depending on how many consecutive wins have been made. Forming 2 wins in row will grant you a special 2×2 Gem Rocks symbol. Land 5 wins though and you will see a 3×3 Gem Rocks symbol land on the reels. If you are lucky enough to create 9 consecutive wins in a row, then a massive 4×4 Gem Rock symbol will land on the reels.